From my own personal experience a cat coughing up a fur ball occasionally is not something that would be too concerning unless it happens very regularly. 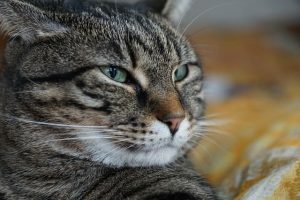 If your cat always has difficulty in expelling fur balls causing regularly vomiting veterinary advice should be sought. Cats have evolved to eat all parts of their prey including fur which they would normally expel this way but there are products on the market which are available to help expel fur balls. However regular grooming to remove excess fur in the coat particularly in the moulting season can help to cut down on the frequency of coughing up fur balls. Providing that you have ruled out with your vet any conditions which may cause sickness and vomiting not connected with fur balls, make sure your cat is kept well groomed. If you have a long-haired cat in particular, I recommend having your cat professionally groomed to remove excess fur every 8-10 weeks to prevent excess hair being swallowed. A build-up of excess hair which is not coughed up can contribute to intestinal blockages which require surgery. Cats often feel stressed if they are taken out of their own environments so make sure you use the services of a professional specialist cat groomer who will come to groom your cat in its own familiar surroundings rather than in an unfamiliar environment such as a van parked outside. This will make their grooming experience as stress- free as possible. Catskingdom – mobile cat grooming – covers not only Send, Woking but also Surrey and South West London. I need to stress that I am not qualified to give veterinary advice. If you are at all worried about the issues above or the slightest bit unsure about the welfare of your cat, you must seek professional veterinary advice. 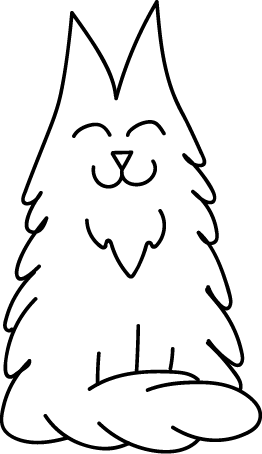 This entry was posted in Caring for Your Cat and tagged furball, mobile cat groomer send.